One of the key benefits of saving in a 401k is that you can defer paying taxes on your savings until you take money out of your account – but that benefit does not last forever. Once you reach age 70½, the tax rules require that you begin withdrawing your 401k savings to ensure that those tax-deferred dollars enter the tax stream. It does not matter if you do not need the money. If you do not take distributions when you are supposed to, you could face a stiff penalty. As your 401k service provider, Ubiquity Retirement + Savings™ can help make sure you take your required minimum distributions on time. You must begin drawing down your 401k savings when you reach age 70½. At this point, you must take a required minimum distribution (RMD) each year until your account is depleted. If you are still working for the employer beyond age 70½, you may be able to delay RMDs until you stop working, if your plan allows this delay. The delay option is not available to you if you own 5% or more of the business. If you participate in more than one employer plan, you must take an RMD from each plan. You must take your first RMD by April 1 of the year after you turn 70½ (or retire, if your plan allows delayed RMDs). This is called the Required Beginning Date. After that, you must take the required amount by December 31 each year. If you wait to take your first RMD between January and April of the year following your 70½ year, you will end up with two taxable distributions in the same year, something you should consider in your retirement income planning. You do not take your RMD each year, you will owe an additional tax equal to 50% of the amount that should have been made but was left in the plan. If a participant or saver does not provide RMD payment instructions to their 401k administrator, the employer will direct the administrator to make the RMD payment. If an employer allows RMDs to remain in the plan, it could be disqualified which would cause employees and employers to lose the tax benefits associated with saving in a retirement plan. If you are the business owner, you will want to make sure you keep an eye on the distributions required for any participants in your plan (current or former employees) who are age 70½ or older. Your employer or your 401k service provider will tell you how much you are required to take each year. The amount you will be required to take is calculated based on your life expectancy and your account balance. Your employer or your 401k service provider will also provide instructions outlining the steps you must take to initiate the payout. RMDs are calculated based on your life expectancy so that payments will last throughout your expected lifetime. The amount you will be required to take each year is a small portion of your account, which is determined by dividing your prior-year end account balance by your life expectancy factor. In most cases, you will use the life expectancy factor from the IRS’s Uniform Lifetime Table, which assigns the number of years of life expectancy based on your age and a possible beneficiary who is ten years younger. For example, according to the IRS Uniform Lifetime Table, the life expectancy factor for a 72-year-old is 25.6 years. Assuming your year-end 401k account balance is $250,000, you will be required to take a $9,765.63 RMD ($250,000 divided by 25.6 years). For the next year, when you are age 73, the IRS table applies a life expectancy of 24.7 years. Assuming your year-end account balance was $248,000, your RMD would be $10,040.49. As you start planning for retirement, it is helpful to project how much you will need to take from your 401k plan each year as a required distribution. To estimate your RMDs, there are many calculators available for free online. Here is one that will also tell you the rate of return you need on your investments to maintain your account balance following each distribution. If the sole beneficiary of your 401k account is your spouse, and your spouse is more than ten years younger than you, you can calculate RMDs using your actual ages and the IRS’s Joint Life Expectancy Table which will result in a smaller RMD amount than using the Uniform Lifetime Table. Check out our resources below for more information. The tax impact of your RMD depends on the types of contributions you made to your account. 401k RMDs are fully taxable in the year distributed unless you made any after-tax contributions or Roth contributions to the 401k. Unlike Roth IRAs, Roth accounts in an employer-sponsored retirement plan, like a 401k plan, are subject to the RMD rules, even though the distributions may not be taxable. RMDs cannot be rolled over to another 401k or an IRA. Because they cannot be rolled over, RMDs are not subject to the mandatory 20% withholding that applies to most other types of 401k distributions. You may elect a specific rate of tax withholding, or you may choose to waive withholding altogether. 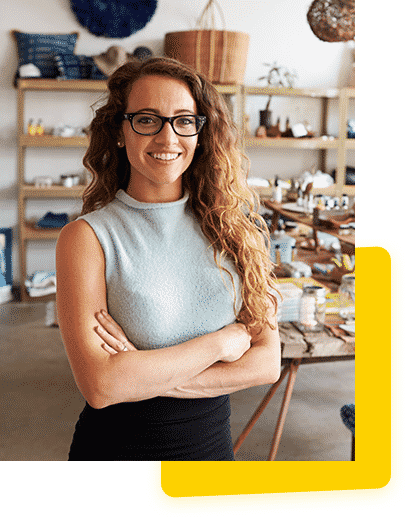 If you’re a small business owner and need a 401k plan for yourself and your company, only Ubiquity offers flat-fee plans plus free expert advice. We will fully customize your 401k to meet the specific needs of your small business.